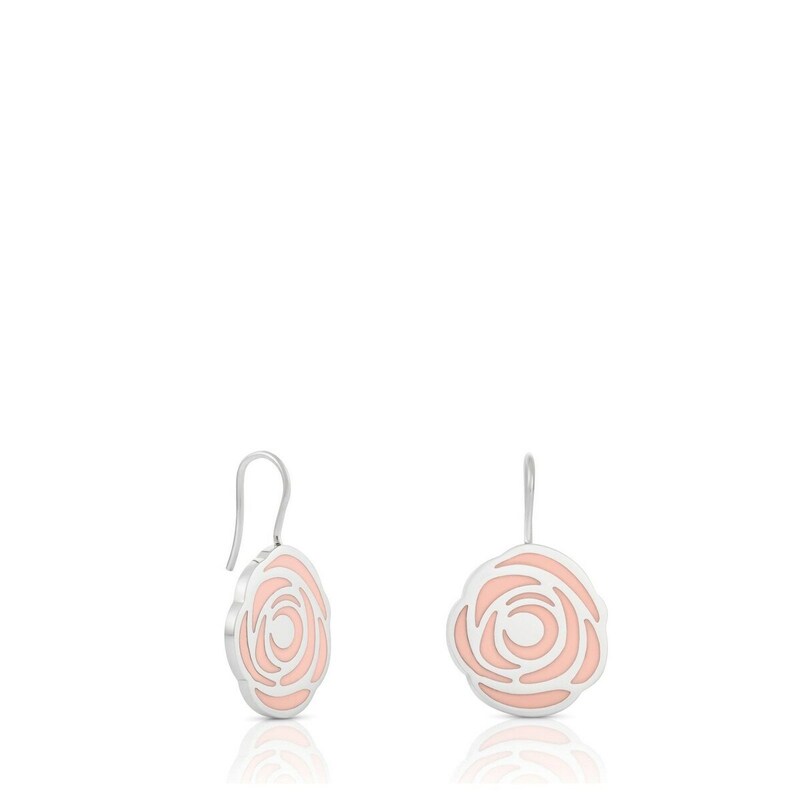 Stainless steel and enamel TOUS Rosa d'Abril earrings. Hook lock. 2cm.